Anyone who has read my bio knows that I’m from one of the best baseball cities in America, Boston. That means I have grown up going to games at Fenway Park, America’s most beloved ballpark. I’ve been to countless Red Sox games, including Derek Lowe’s no-hitter in 2002. I’ve been to the Rogers Centre in Toronto to watch the Sox take on Toronto. As these are absolutely beautiful ballparks, nothing can compare to my trip to San Francisco in August 2011 to see my favorite team the San Francisco Giants play in AT&T Park. There is absolutely no doubt in my mind that AT&T Park is the best park in all of baseball. The team, the staff, the food, the view, none of it can be beaten. 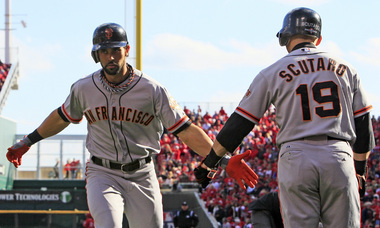 2012 Offseason Giants Key Free Agents: To Sign Pagan and Scutaro? It is not an outrageous thought that the San Francisco Giants, coming off their second World Series title in three years would not have a problem signing two key free agents. Angel Pagan was a fixture at the top of the lineup throughout the year and played a big part in helping the Giants reach the playoffs and World Series. Marco Scutaro, a trade deadline acquisition, provided the Giants with the boost they needed to leave the Dodgers in the dust in the NL West. Not to mention, Scutaro caught fire in the NLCS against the Cardinals and wound up NLCS MVP. Signing both of these guys would most likely make the Giants favorites for a Wild Card at the least. It could be hard to compete with the Dodgers for the West after the blockbuster trade that they made with the Red Sox, but Scutaro and Pagan could help. 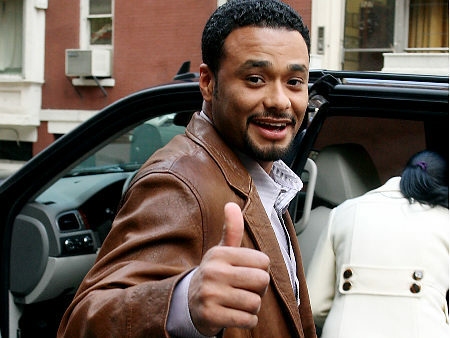 So, how likely is it that both free agents sign with the Giants and return for 2013? Also, why has this team been so quiet in pursuing other Free Agents so far? Unfortunately for most Giants fans, not very likely. I see the Giants signing one or the other. Angel Pagan, coming off a great season, will undoubtedly ask for more than he’s worth. The Giants also have highly regarded prospect Gary Brown waiting in the wings. He is suited to man centerfield for years to come. Pagan is probably looking for at least four years, and Brown will most likely be ready by late 2013 or 2014. Pagan would probably demand somewhere around $10-12 million per year. 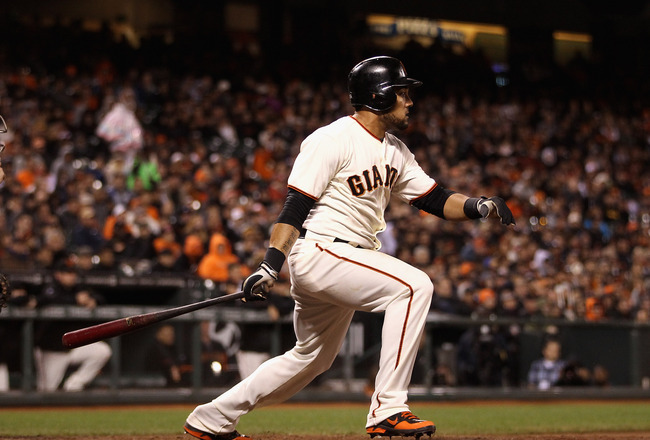 He has been a great fit for the top of the Giants lineup, setting the table for Pablo Sandoval and Buster Posey. He led the league in triples and scored 95 runs, partially due to his great second half. Pagan’s speed is especially valuable in the spacious outfield of AT&T Park. Gary Brown also has great speed, so there will not be too much of a discrepancy in the defensive abilities once Brown is a Giant. What comes to my mind when I think about rewarding Pagan with a large contract is Aaron Rowand. The Giants made a huge mistake by giving Rowand a large contract after just one good year. Pagan, like Rowand at the time, has not had a streak of consecutive great years, so signing him for more than a few years could be risky. 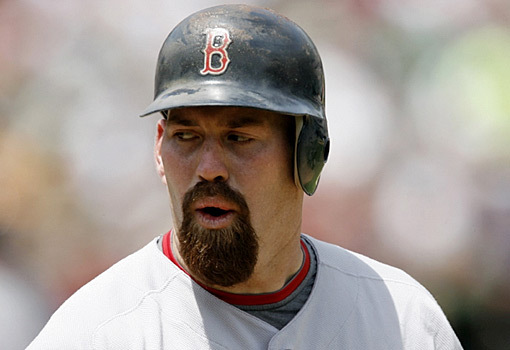 Youkilis was well short of his .388 Career OBP with the White Sox in 2012 (.346), however the guy is still better than over half of the 3B in the MLB. With the White Sox, his OPS was .772. 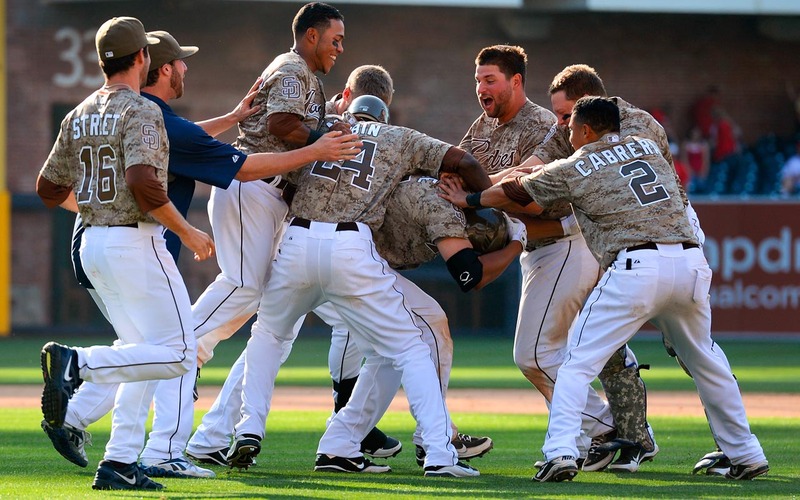 The Padres seem poised to eventually become mild-spenders. For an organization that’s highest payroll since 2002 has been roughly $73 million (in 2008), moving up in the spending chain would certainly be good for a change. This transformation could come as soon as 2013 or maybe a few years down the road. 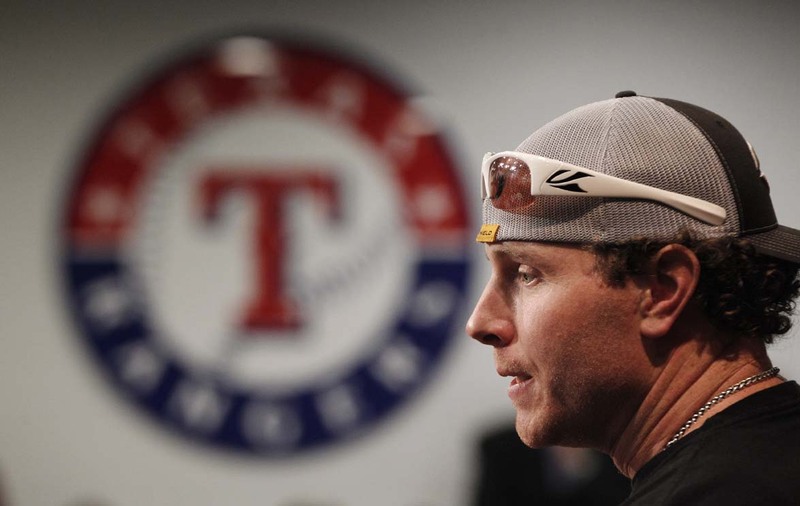 Whether he deserves it or not, Josh Hamilton is one of the most controversial players in baseball. Pretty much everyone thinks that Hamilton is a good guy, but he has made some mistakes off the field that lead to public questioning. With Hamilton hitting free agency this winter, his new contract will show how much interested teams read into his problems. 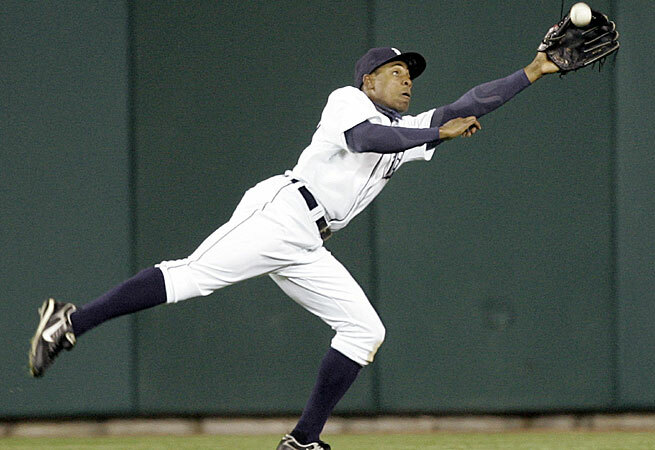 Speaking of interested teams, are the Seattle Mariners a legitimate landing spot for Hamilton? If not, then who? Mets Ownership: The Wilpons Have To Start Spending To Compete! It’s no secret that the New York Mets are in a tough division to compete with. They are way behind the payroll of the Phillies and look up to the Nationals and Braves talent wise. 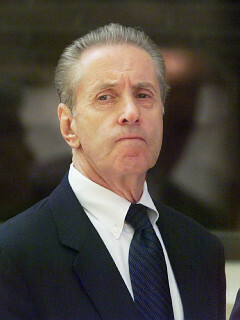 So where exactly did the Wilpon’s, majority owners of the Mets, go wrong in building a talented team? The Texas Rangers reluctance to part with Jurickson Profar is well-reasoned. They believe that Profar can become a perennial All-Star candidate and a better player than both Elvis Andrus and Ian Kinsler. By trading Profar, the Rangers would be letting go of a talent that only comes around about once in a decade. The Rangers should do whatever it takes to ensure that Profar, Andrus, and Kinsler all have starting jobs next year. Kyle Holland: R.A. Dickey had a career year and without a doubt the best year of his career in 2012. He went 20-6 with a 2.73 ERA and capped off his amazing season with a CY Young Award, a first for a primarily knuckleball pitcher. 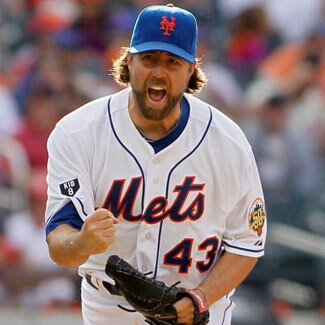 But with his age, and his current value, should the New York Mets try shopping Dickey? Dickey is coming off the best season he may ever have so look at his value. The Mets could really cash in on this. Who in their right mind wouldn’t want a CY Young winner pitching on their team? 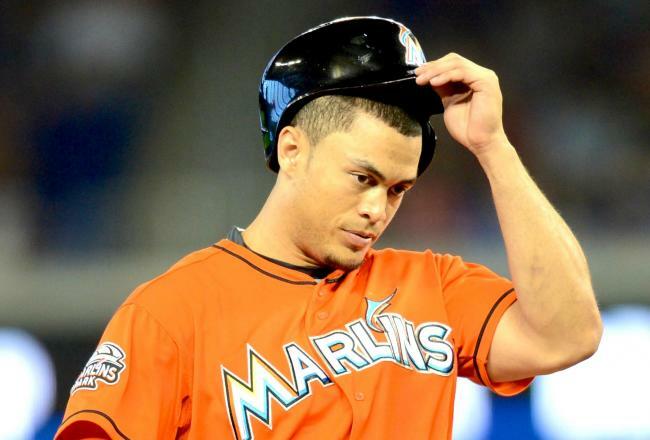 A Fishy Problem In Miami: What Do The Marlins Do With Giancarlo Stanton? Jake Dal Porto: Giancarlo Stanton isn’t the only human being that’s furious over the Marlins recent transactions which most notably saw them deal Josh Johnson, Jose Reyes, and Mark Buehrle to the Blue Jays. Or in English, Miami just betrayed their fans and players. While the fans do matter, you would have to think that Stanton’s words have a bit more meaning than any other figure or figures. And Stanton is not pleased. He sounded off on his twitter account a little over a week ago, saying that “he’s pissed off”. The slugger doesn’t have to say much more. Perhaps the next words out of his mouth could be a trade request. That isn’t too far-fetched at this point either, and the idea is something that Miami’s management should highly consider in coming weeks. Sam Evans: The final two qualifying tournaments for the 2013 WBC are complete. Out of Panama, the Brazil team shocked the world by beating the host country Panama to advance. In Taiwan, Chinese Taipei left no doubt they were the best team, not allowing a single run in the whole qualifier. Both of these teams will face much more experienced teams in March, but Brazil and Chinese Taipei have proven that they are ready for the best of the best. 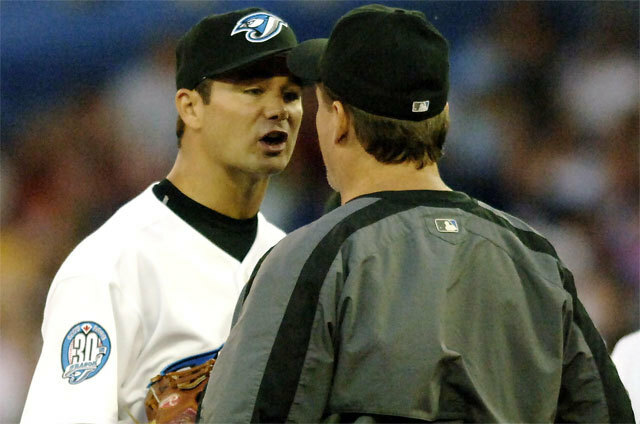 I am in complete shock that the Jays hired John Gibbons as their recycled coach. 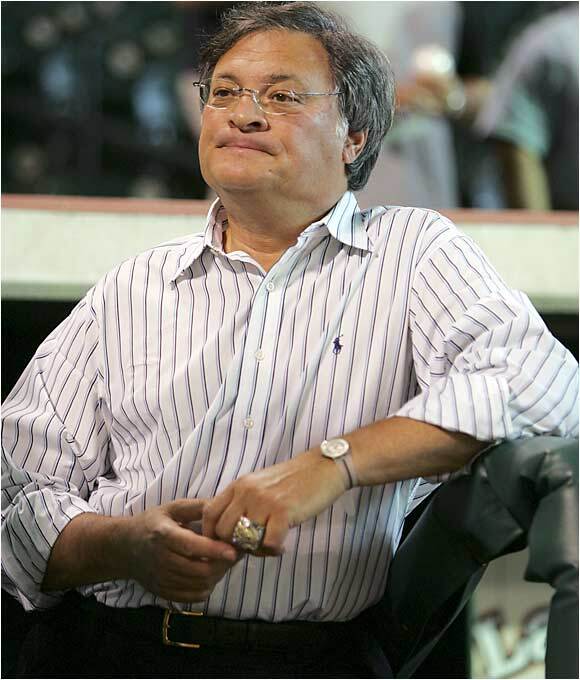 For a guy that has largely supported Alex Anthopoulos on many moves since he has taken over the helm, I can’t believe he pulled this guy off the scrap heap for managers. 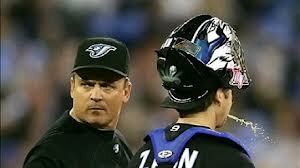 Gibbons managed the Blue Jays from 2004-2008 and held down a mediocre 305-305 record. While he did post back to back winning seasons in 2006 and 2007 in a tough AL East, he also had some talented players to work with. Roy Halladay was the premier pitcher in the American League from 2005-2008 and would give a 11-13 games over .500 clip just by taking the hill every year. In the 3 full years that Gibbons had Halladay, he was 44-16 (.733) in 72 starts, so if he had been healthy for 96 starts in this time frame, he would have won about 59 Games versus only 24 losses. In Gibbons best year as a manager, he was 87-75 with the 2006 club. Halladay was 16-5 (11 Games over .500). I would never want to re-hire a manager that has 0 playoff appearances when the current club is going to be graded on exactly that. 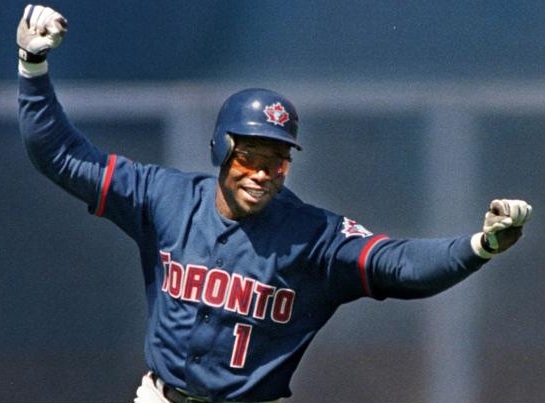 The Jays will have a serious ‘PR’ nightmare if this hire does not work out. No one would have faulted AA for hiring a manager with playoff experience. If those guys aren’t available as your top choice, at least bring in someone fresh that has not tasted failure for the club. 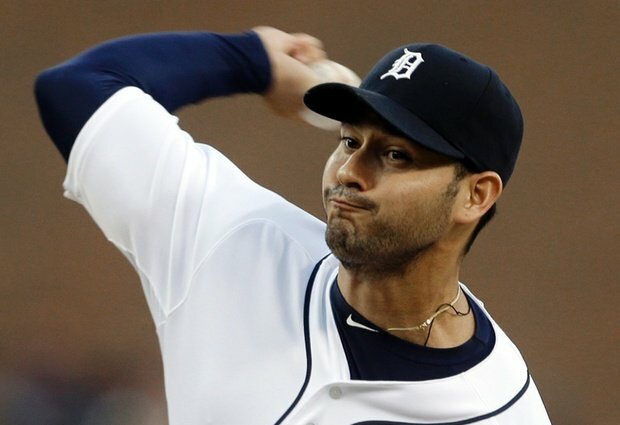 Is Anibal Sanchez Worth An Ace-Like Contract? Anibal Sanchez bolsters a career record of 48-51 (.485), with a Career ERA of 3.75. With a limited number of Free Agent Starting Pitchers on the market, he is likely to command big dollars. Whether or not he is successful in his plight remains to be seen. Jake Dal Porto: Let’s get something straight—that Anibal Sanchez is not quite an ace. He is a great middle of the rotation arm until he proves otherwise, but with that said, he is still worth ace-esque money. And ace-esque money is what suitors will seemingly be willing to pay him this offseason. Those handful of suitors are a smart bunch. The longtime Marlin and stellar in-season addition to the Tigers in 2012, has his demands out there, and they are lofty. According to Jon Morosi of Fox Sports, Sanchez is looking for roughly a six-year contract worth $90 million. That ratio would equate to exactly $15 million per year. 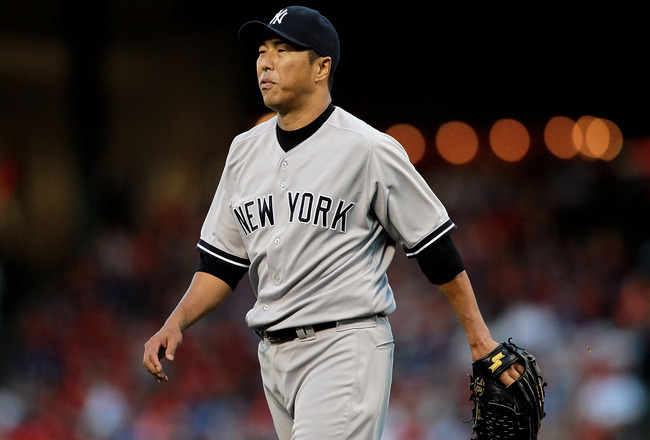 Hiroki Kuroda: Is A Return To LA In His Future? Kyle Holland: The 2012 season should have been a great season for the Dodgers. They had Matt Kemp and Clayton Kershaw on the opening day roster. In mid July they traded for Hanley Ramirez and at the trade deadline added Shane Victorino to the squad. If that team wasn’t elite enough, they traded for Adrian Gonzalez, Josh Beckett, and Carl Crawford in August. Even with all these additions, they were unable to qualify for the playoffs and they started to look forward to 2013 real early. Now in 2012-13 offseason they are reportedly trying to sign Hiroki Kuroda, a pitcher who has played a good chunk of his career with the Dodgers. Sam Evans: The World Baseball Classic qualifying rounds in Panama and Taiwan are finally underway. Many of these games were predictable blowouts but some came down to the end. It will only be a few days before it is revealed which teams are advancing, so here is a quick recap of the games already played and a preview of the finals. Dice-0K was the biggest posting ever for a pitcher ever at 51 Million Dollars. the Red Sox ended up paying over 100 Million for the man when they signed him for 6 years and 52 Million dollars. 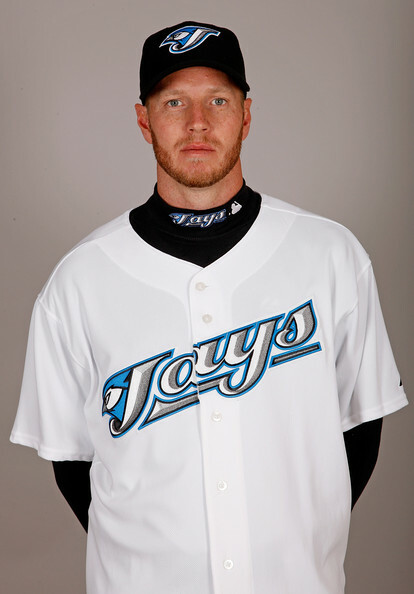 He rewarded th em in 2007 and 2008, by going 31-14 and being a big cog in the wheel for the World Series Run in 2007. Matsuzaka is only 19-23 since those first 2 years. Jake Dal Porto: What has become of Daisuke Matsuzaka? The once highly-touted Japanese import has struggled in recent years, posting a 5.53 earned run average since 2009. Due to this, the interest for him is extremely low. However, don’t expect Matsuzaka to go unsigned this winter. While he is certainly a gamble, he’s worth the risk for teams with restricted payrolls. The World, it is changing. It’s a fact of life, it’s something we can’t avoid. Change is inevitable. Remember when the Chicago White Sox announced a new management structure? 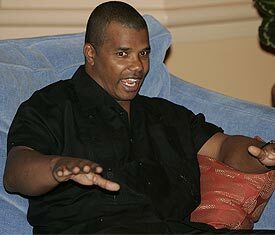 Long time General Manager Kenny Williams was promoted to Executive Vice President, with Rick Hahn being the new GM? We are experiencing a new management similarly here at MLB reports. I have been fortunate for the past couple of years to wear many hats at MLB reports. After founding the site and being the Lead Columnist, I was also the Editor responsible for content, updating the website and social media. I have spoken with many of you on Twitter. Yes, that was me. 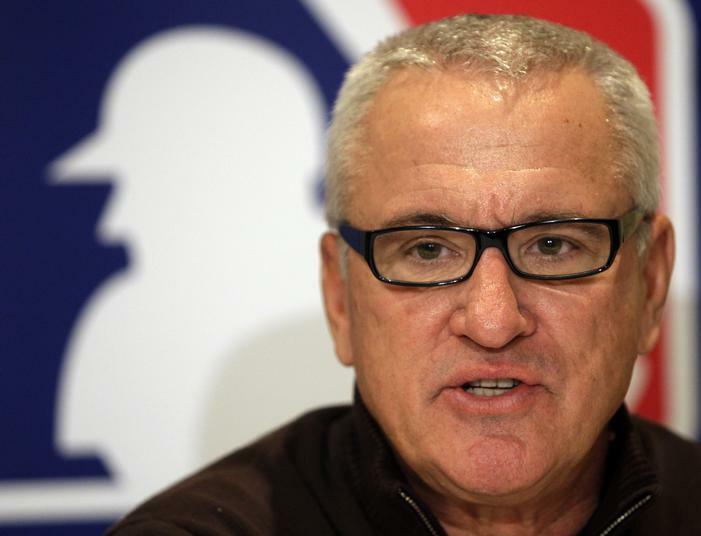 So today I am thrilled to announce that MLB reports has now changed that structure. Chuck Booth, Lead Writer for MLB reports will now be taking over my role. Chuck, in addition to his weekly columns, will now be the Editor and looking after our social media. Chuck has been very active behind the scenes on MLB reports for some time and we have decided to evolve our roles. As partners in MLB reports, I have been very fortunate to be able to work side-by-side with a great baseball mind like Chuck Booth. This man is a Guinness World Record Holder, having viewed baseball games in all 30 stadiums in only 23 days. How does he do it? The man is a baseball legend. Going forward, when you are reading our daily tweets, that will be Chuck. When you converse with MLB reports on Twitter, that will be Chuck. The great baseball articles that come every week from MLB reports? Chuck will be the Editor and responsible for all content on MLB reports. So where does that leave me you ask? I guess you could ask Kenny Williams that same question. While Kenny had the passion to have more time for scouting, I have the same passion for writing. There is much work that goes into being an Editor and social media. While I loved those roles, I ultimately want to spend more time writing. I will also be working behind the scenes, focusing on growing the MLB reports brand. It’s change…and change is good. Not to worry, you will still be able to find me and converse baseball anytime. I am blowing the dust off my twitter handle @jhacohen – be sure to follow me, say hello and most importantly, let me know that I sent ya! Now for the next announcement. You didn’t think that was it, did you? I certainly hope that you enjoy this edition of Ask the Reports, as it will be the last one that I will be producing. With hot stove season in full force, Chuck and I have decided to put ATR on hiatus for the offseason to concentrate on other baseball areas. The WBC qualifiers are currently going on, with the tournament itself starting in March. Free agency season has begun (which will the topic of today’s ATR). So please continue to send in your questions, we love to hear from you! While we will continue to write back on our site in the comments section, on our Facebook wall and Twitter, we will say goodbye to ATR for the winter months. This has been a weekly feature that was a baby for me. I loved conversing with each of you and featuring your questions. Thank you for taking the time each of you to sending in your questions, we really appreciate it. 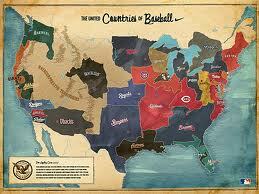 We look forward to continuing to talk baseball with all of you 24/7 through social media and our site. Send in those questions people, keep sending them in! 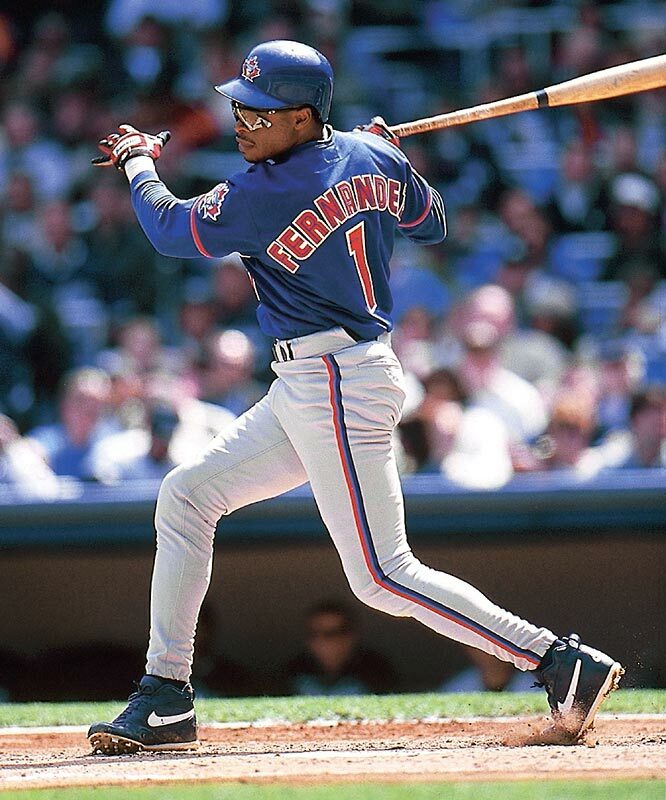 In today’s edition of ATR, I focus on the signing that shook the baseball world. Fresh off their major trade with the Marlins, the Blue Jays announced that they signed free agent outfielder, Melky Cabrera. 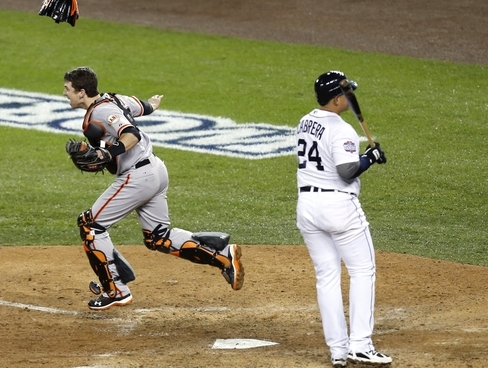 We all know the story- All-Star Game MVP, batting leader with the San Francisco Giants. Gets busted for PEDs, tries to cover up with a fake website, requests to be removed from the batting leaderboard in the NL, does not play in the 2012 playoffs and wins a World Series ring. The sordid tale of Melky Cabrera. Now for a fresh start, Melky is banished to Canada. Ok, I kid. Heck, Chuck and I are both from Canada! 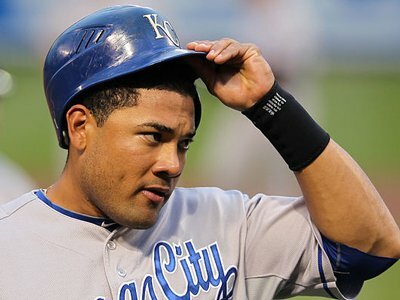 But with less pressure than say New York or Boston, Melky gets a fresh start in 2013. My e-mail box has exploded with your Melky Cabrera questions over the last 24 hours. As a result, I have devoted this week’s ATR to your most popular Melky Cabrera questions. This is our Melky Cabrera Special Feature, ATR edition. 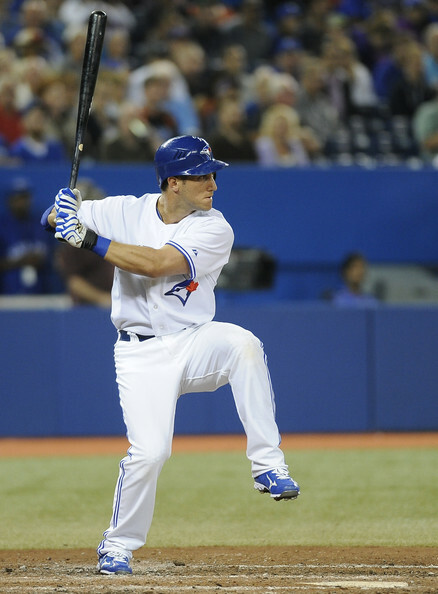 Kyle Holland– It’s no secret that 2012 offseason doesn’t have the best free agent class. Being topped off by Zack Greinke and Josh Hamilton is great, but it declines under them. After last year’s class, this year’s list of available players seems terrible. 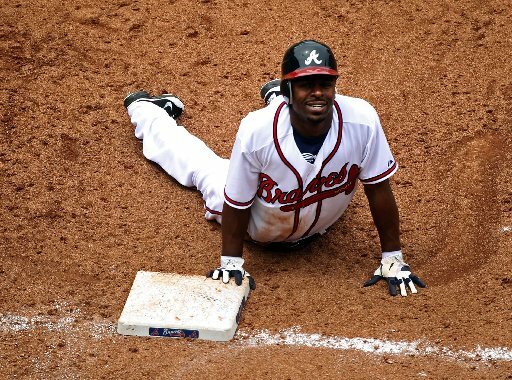 One free agent that will not be re-signing with his last club is Atlanta Braves outfielder Michael Bourn.